Last night, as part of my nutrition class at our local grocery store, we spent some time walking around the perimeter of the store. This is essentially where we should be doing the majority of our shopping. Here's where you find the vegetables, fruit, whole foods, lean fish and meats, and low fat dairy products. After we had worked our way around the building, we went to the "inside" aisles of the store to visit the pasta section where I learned about a new product that sounds like something I should try. 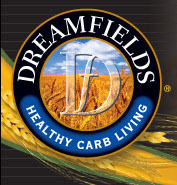 Dreamfields Pasta is designed to be low-carb and can be enjoyed by diabetics who have a lower blood sugar response after eating this pasta. It also has added fiber (five grams per serving) so that makes it a great choice for pasta all around. To learn more, visit the Deamfields Pasta website.